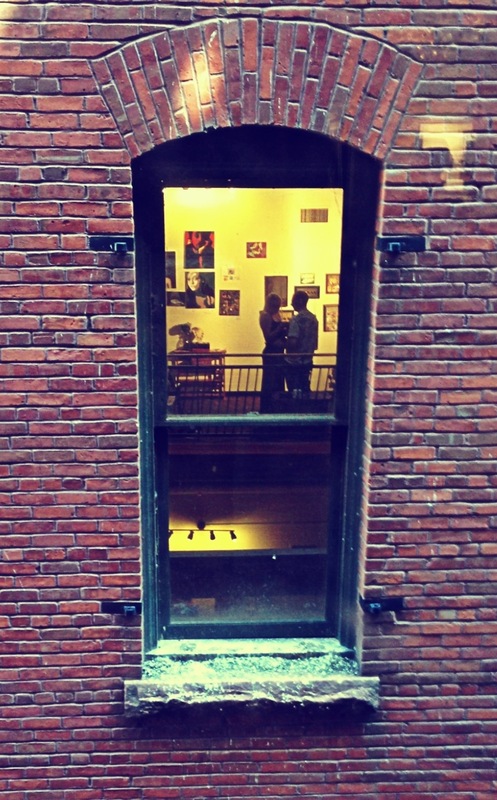 The windows in husband’s studio face a back alley that has a bird’s eye view of another artist cooperative next door. I spy people looking at art! This is day 117 of Photo 365 at the Saint Paul Art Crawl. This entry was posted in Photography and tagged #stpaulartcrawl, Lowertown, Photo 365, Saint Paul. Bookmark the permalink.